Bigger smartphones, which some people call “Phablets,” have been rising in popularity since the introduction of the Samsung Galaxy Note in 2011. Consumers and competitors alike took notice, and the category has been growing ever since. The latest crop of large smartphones, the iPhone Xs Max in particular, may be a strong indicator of consumers’ taste going forward and the incredible health of the category overall. Early numbers indicate “iPhone XS Max demand is ‘better than expected,’ with the 6.5-inch model outselling the iPhone Xs by three to four times.” Our internal numbers also indicate iPhone Xs Max is the more popular option at a ratio of roughly 2:1. We trust that consumers will continue purchasing a case and screen protection, but the continued focus on larger phones got us thinking about other “essentials” they can purchase to enhance their “giant” phone usage. One category to consider: phone grips. 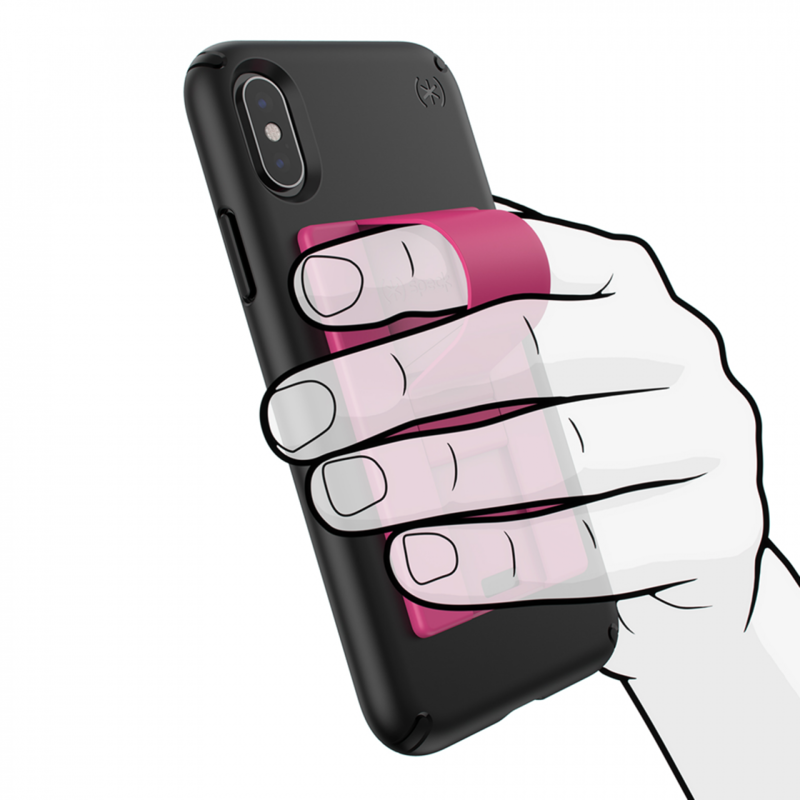 Phone grips are accessories meant to give users a better grip on their phones. They sometimes double as a phone stand for streaming media or Facetime, among other novel uses. We’ve selected products you might consider offering to your customers who might not have hands large enough to grip the Xs Max or any large smartphone. These products make great stocking stuffers/impulse items too. PopSockets are one of the more popular grips on the market today. For the uninitiated, PopSockets are expanding grips and stands that attach to most phones, tablets, and cases. 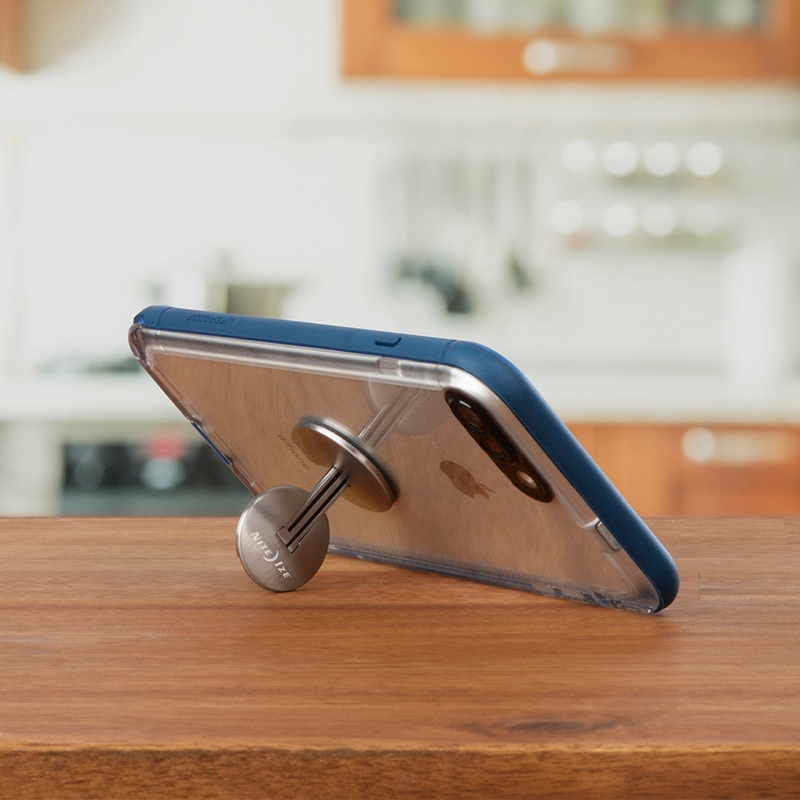 Add a single PopSocket, or a pair of PopSockets, to the back of almost any mobile device to transform its capabilities. 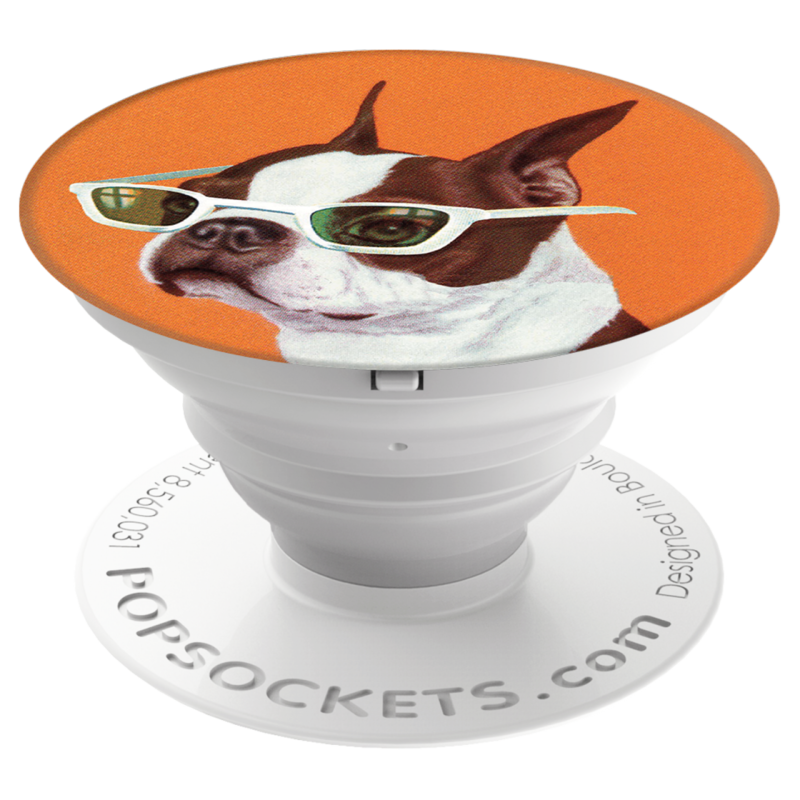 PopSockets “pop” whenever users need a grip, a stand, an ear bud-management system, or just something to play with. 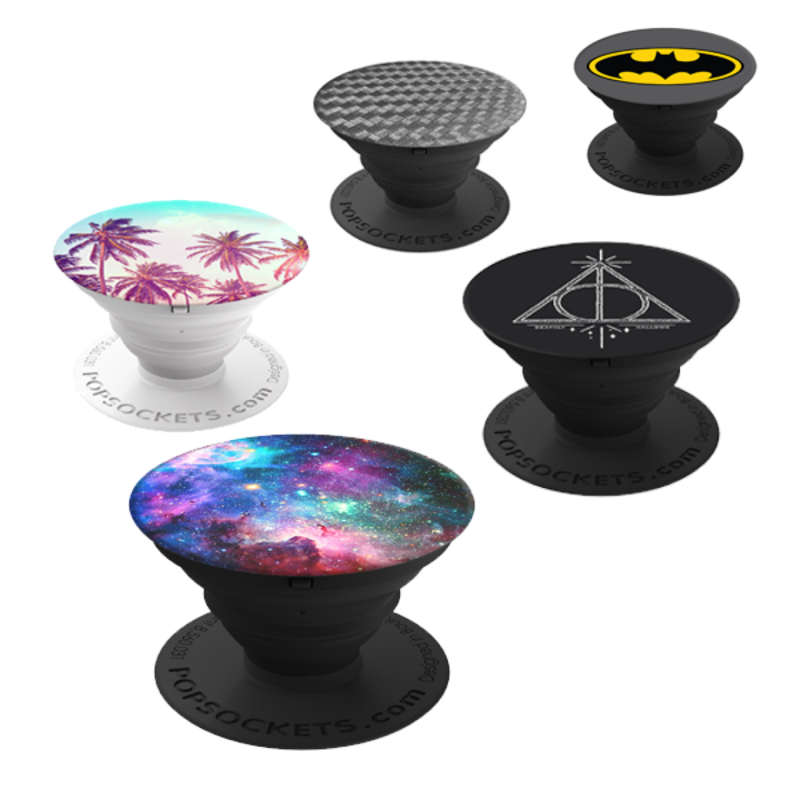 VoiceComm offers PopSockets with original and various licensed designs including DC Comics, Star Wars, Marvel, NFL and many more. 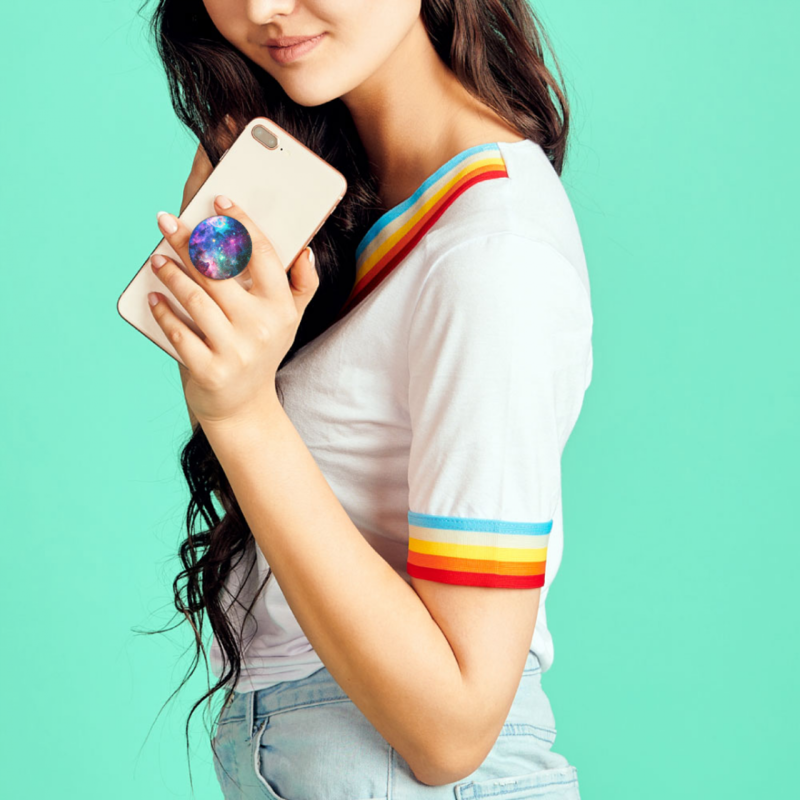 In addition to doing a great job of giving users a better grip, they have wide appeal due to the numerous PopSocket designs offered. Great for kids and adults! 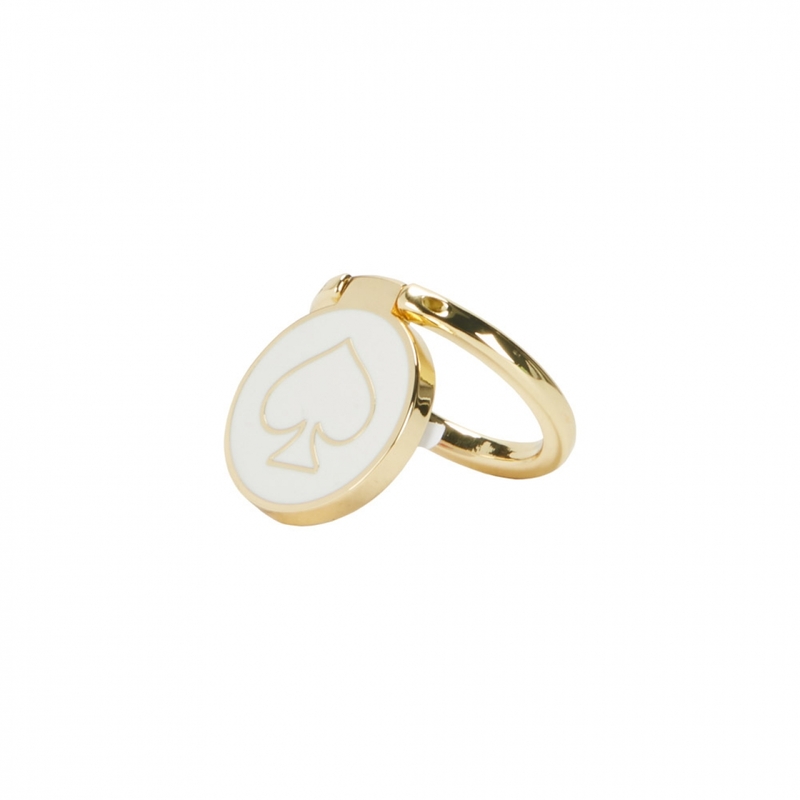 While PopSockets have wide appeal, the Kate Spade New York Stability Ring is targeted to a narrower demographic: fashion conscious females. 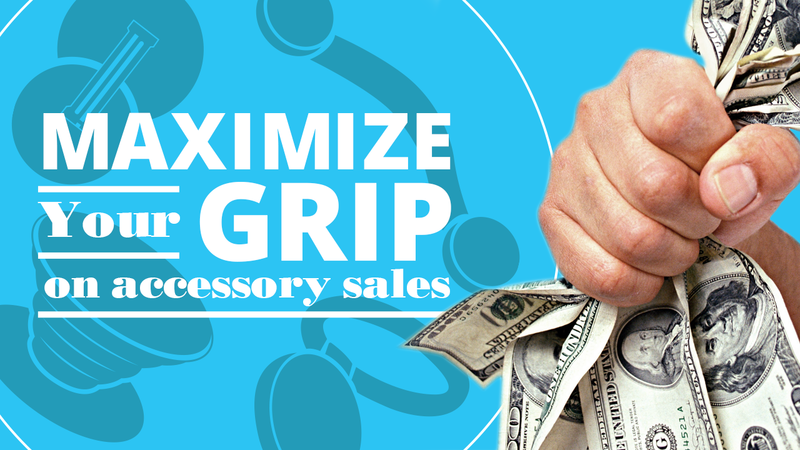 Consumers can slip the Stability Ring on their finger for a stylish, drop-free grip. On top of that, they can show off their personal style with the playful sophistication of Kate Spade New York. If your customers care about fashion and personal expression – and a growing number certainly do – the Stability Ring is a no-brainer. 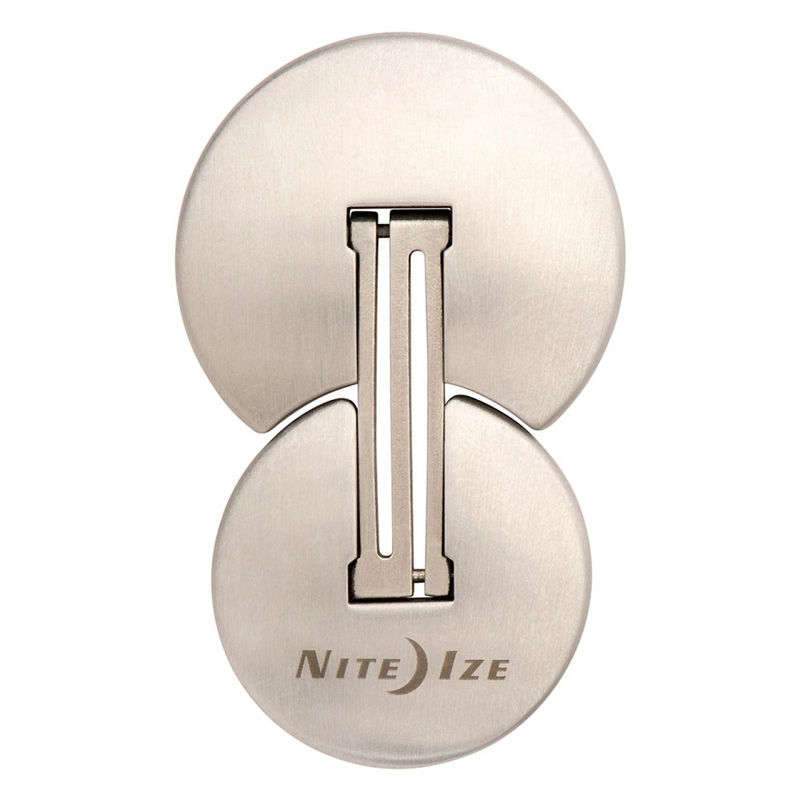 Another grip for more discerning audiences, the Nite Ize FlipOut lends some sophistication to the grip game. 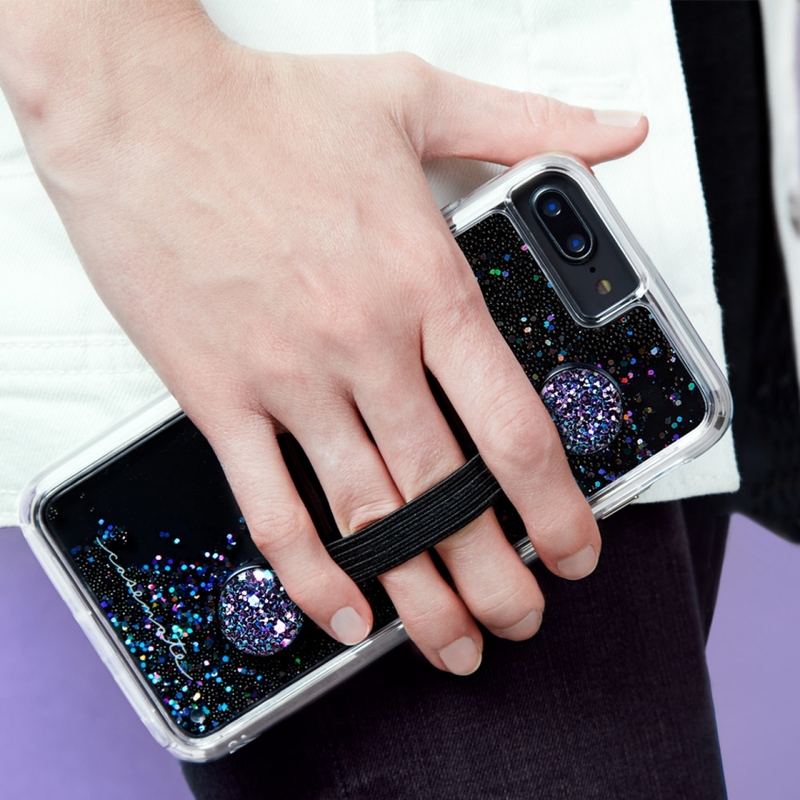 This satin-finished stainless steel grip and stand folds flat, creates a secure grip, and lets users easily view their phone hands-free in both landscape and portrait modes. The design couple with its Satin-finished stainless steel material really complements high-end phones such as the iPhone XS Max. GrabTabs feature a distinct “Holding Loop” that allows for a better grip and doubles as a stand. Better yet, it was thoughtfully designed for wireless charging. A user will be able stick it to the back of a phone and slide the flexible center strip until it locks in place. 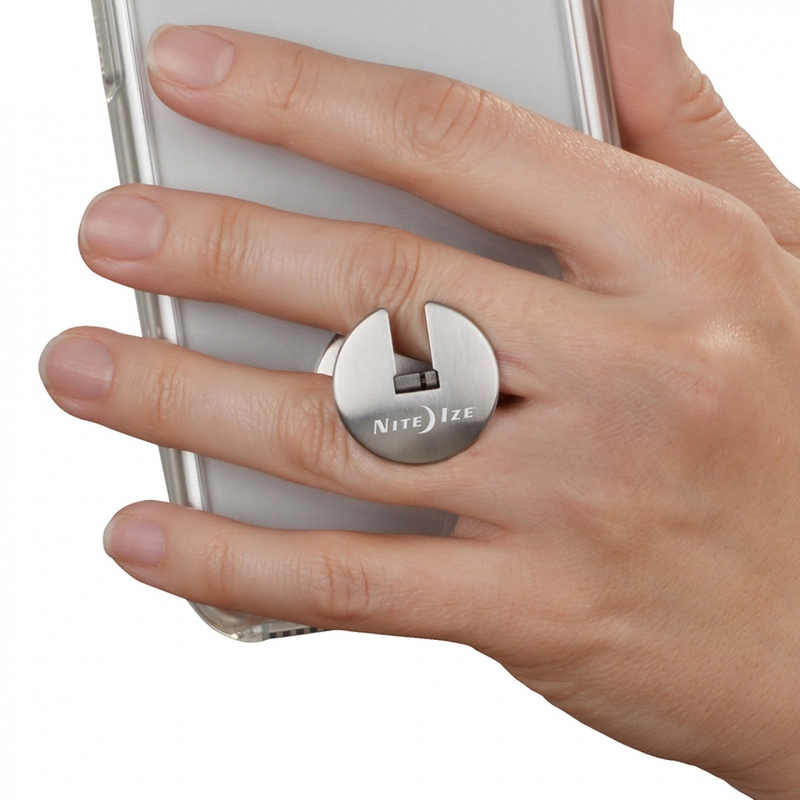 Users can slip their fingers through the loop to hold a phone comfortably while taking selfies, texting, and more. Turn a phone sideways, and the loop becomes a convenient stand for watching videos or hands-free chatting. 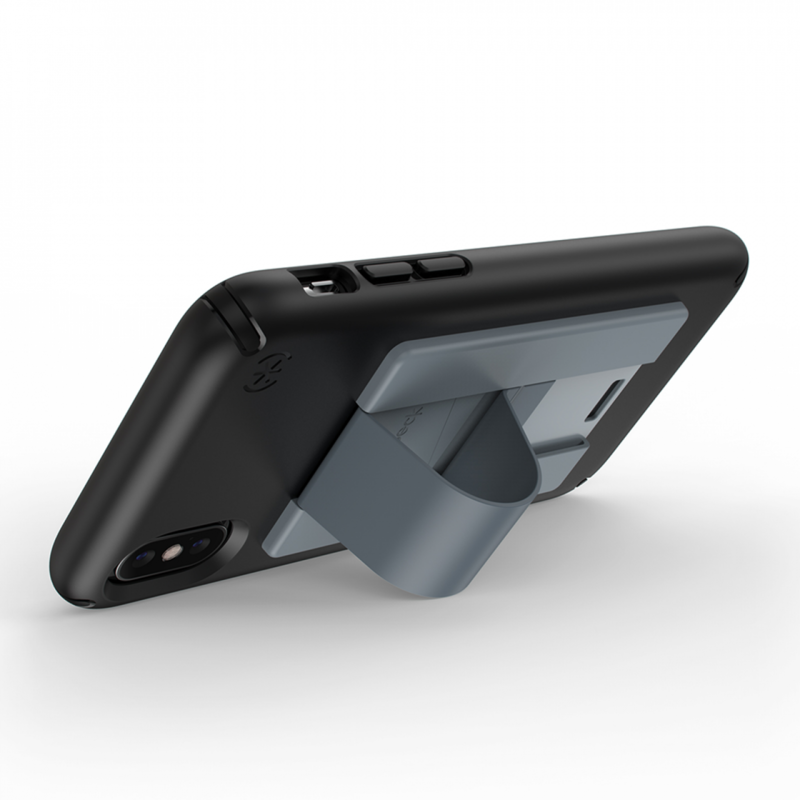 Finally, for something a little different we have the Case-Mate Straps Device Grip. Unlike other products covered, this serves exclusively as a device grip. They’re made with a durable elastic strap and permanent and secure adhesive backing. Straps provide extra grip and protection of a device. Case-Mate Straps are low profile and add a touch of elegance and class to even the biggest devices. More importantly, they enhance the experience of larger phones. Beyond cases for iPhone Xs Max, wireless charging is also something to consider for this power hungry beast. We hope this gripping blog not only gives you another essential accessory to sell for larger (or any) phone, but we’re sure there are many more inventive ways to attach as well. Speak with your designated sales representative today for ideas to maximize your profits for the upcoming holiday season and beyond. VoiceComm is partnered with a who’s who of mobile accessory brands. From market leaders to up and coming challengers, VoiceComm offers an unbeatable array of products suitable for small business all the way up to corporate customers. 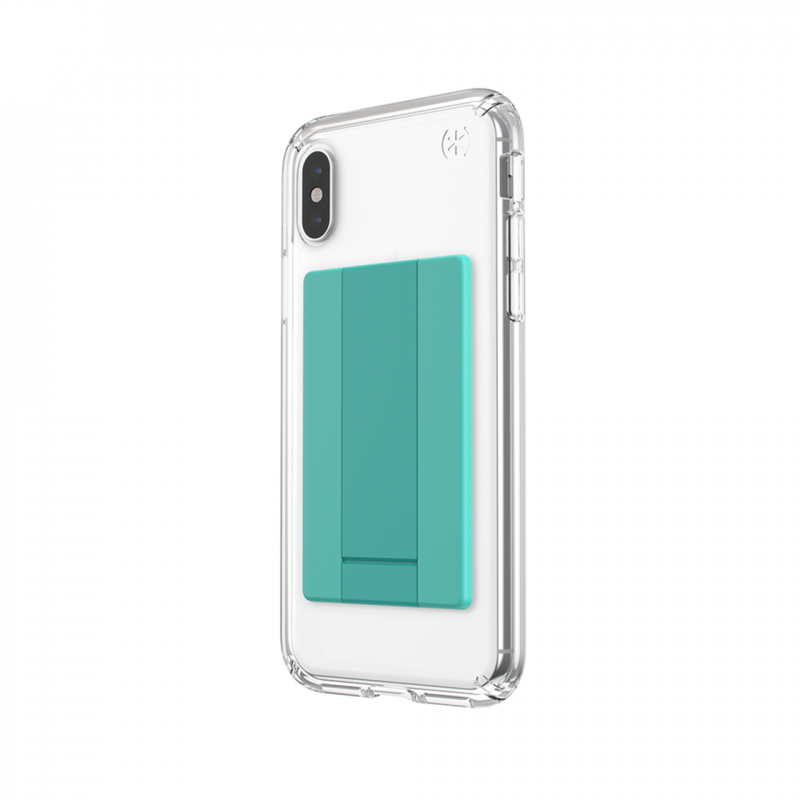 Shop our entire catalog of wholesale mobile accessories and consumer electronic goods at myvoicecomm.com. Interested in working with VoiceComm? Register here. Keep in touch by subscribing to VoiceComm’s newsletter here.